To encourage each individual to achieve their personal best in a meeting place where Christ’s teachings are learned and lived. "Age Quod Agis - Do well what you do"
Our school motto invites all members of our school community to reach their full potential by giving their personal best. In 1875, a small group of Irish Sisters came to Yass and as their mission founded Mt Carmel School. In Galilee, the Holy Land, Mt Carmel is known as “the meeting place for God and His people.” As a Catholic coeducational school, we endeavour to provide excellence in education for students from Kindergarten to Year 6. At Mt Carmel we continue the tradition of the Mercy Sisters to whom the Yass region owes so much. 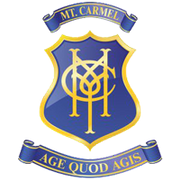 Mt Carmel School, Yass is administered according to the policies and guidelines of the Catholic Education Commission (CEC) of the Archdiocese of Canberra and Goulburn and the procedures established by Catholic Education (CE). Curriculum requirements are followed as set or endorsed by the New South Wales Education Standards Authority (NESA).